Document your love in true style! 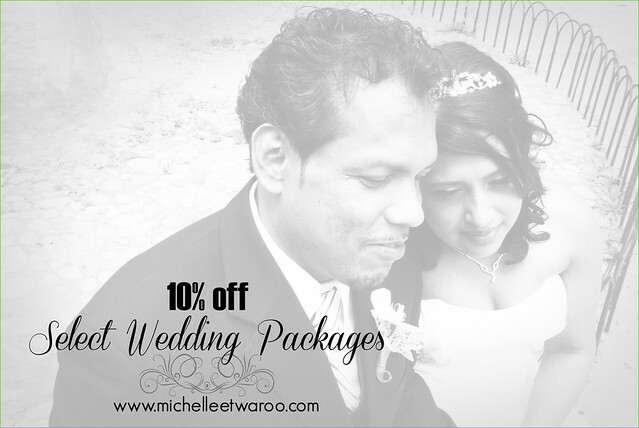 Book Michelle Etwaroo for your wedding while packages are 10% off. 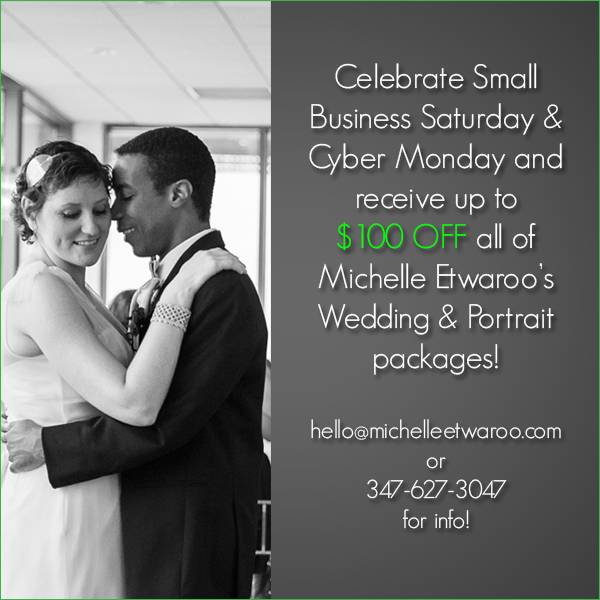 All packages include an engagement session and hi-resolution files. Whether you’re looking for coverage starting at your rehearsal dinner, or the morning of the wedding, we have something for every couple including intimate weddings. 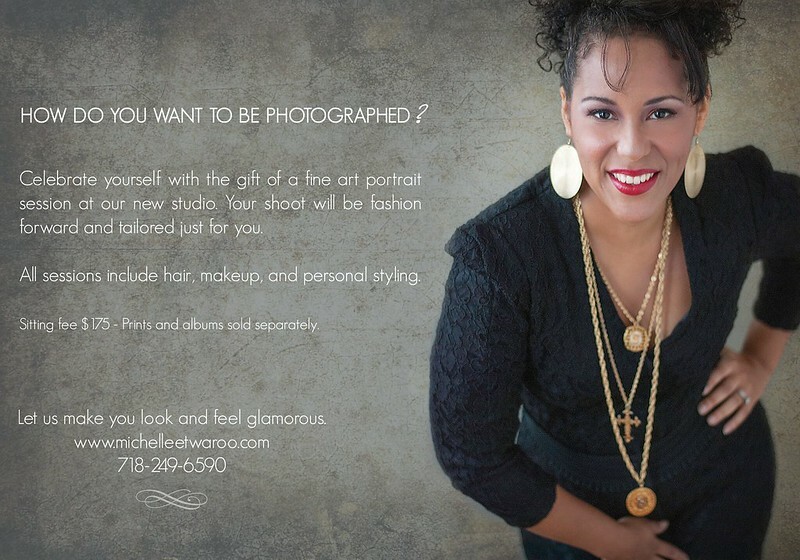 Call 718 249 6590 or email “hello [at] michelleetwaroo.com” to set up a consultation! 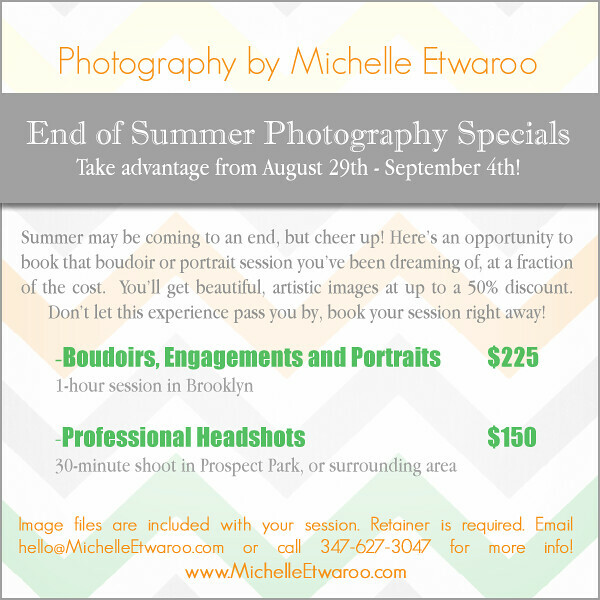 You asked for a summer special, and you’ve got it! Summer may be coming to an end, but cheer up! 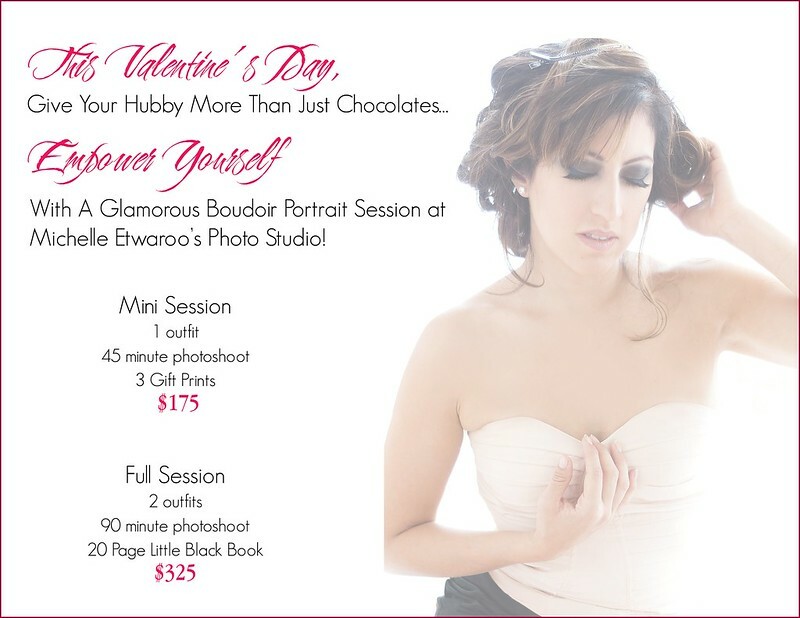 Here’s an opportunity to book that boudoir or portrait session you’ve been dreaming of, at a fraction of the cost. You’ll get beautiful, artistic images at up to a 50% discount. 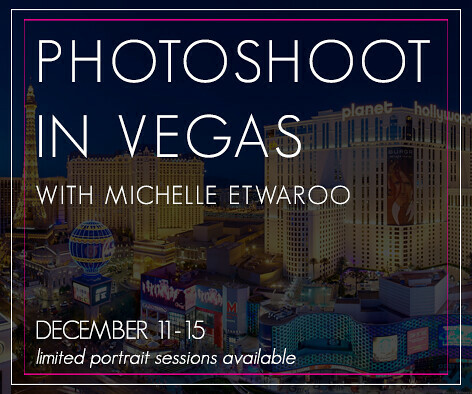 Don’t let this experience pass you by, book your session right away! Shoot me an email for more info!